The millions of pounds of public money spent each year on pseudoscientific and disproven homeopathic remedies will not be addressed in the first stage of a national review of National Health Service (NHS) spending in England. Following budget cuts to the health service, NHS England has announced new guidelines which will discourage GPs from prescribing treatments which are of no clinical value, or of very little clinical value, such as over-the-counter painkillers and cough remedies. Ten medicines put forward for initial review will be consulted on by patient groups, clinicians, and pharmaceutical providers, with a view to scrapping the provision of such treatments through the NHS. However, homeopathic treatments, which are commonly prescribed by GPs despite consistently showing zero evidence of effectiveness on patients beyond a placebo effect, were not listed for review. 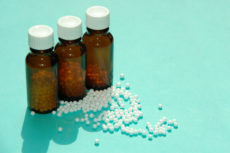 In response to a query from Health Select Committee Chair Sarah Wollaston MP, NHS Clinical Commissioners Chief Executive Julie Wood later confirmed that homeopathy spending would be addressed in a future review. ‘Homeopathy is in the overall £400 million of spend [savings] identified,’ said Ms Wood. For further comment or information contact Richy Thompson, Director of Public Affairs and Policy at richy@humanism.org.uk. Recent years have seen a dramatic reduction in the availability of state-funded homeopathy. According to research by the Good Thinking Society, state-funded homeopathy is no longer available in Northern Ireland, Wales, the North of England, the Midlands, the South East, or East Anglia. It is, however, still funded to the tune of several million pounds per year by NHS trusts across Scotland, London, and the South West, and there is also some state funding of homeopathy in state-funded Steiner schools in the South West. This article was updated on 31 March to reflect comments made by Julie Wood that day.